I’m so pleased with how the blanket turned out! The pattern is in Tracey’s book new crochet book. And I must say, its a fabulous book! 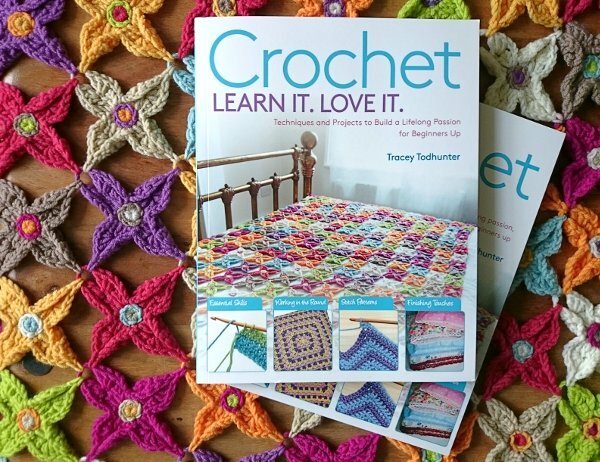 Tracey has done a marvellous job writing a book that is just perfect for learning to crochet and full of handy tips for everyone else. There are lots of how-to photographs for all of the techniques, oodles of inspiration and its a must-have for your bookshelf! The book is published in the UK under the title: Woman’s Weekly Guide to Crochet. 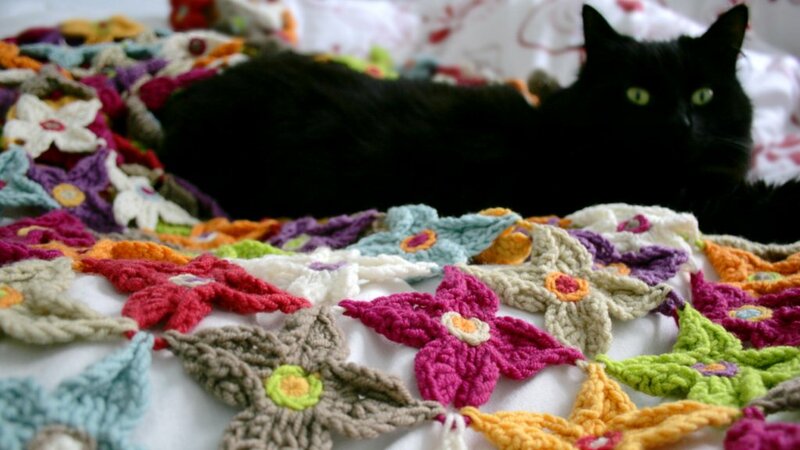 The pattern is up on the ravelry database – Flower Blanket on Ravelry. Make sure to add your project with lots of deliciously gorgeous images! 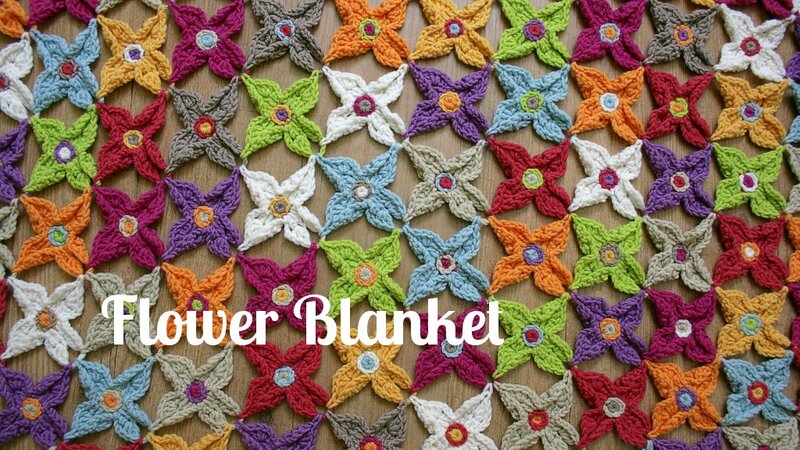 If you are on Instagram don’t forget to share your photos of your Flower Blanket with us. Tracey is @traceytodhunter and I am @woolnhook. We can’t wait to see your blankets!! The flower blanket stayed with the publishers for a while and when it returned I draped it artfully over the guest room bed. Hubble the cat found out instantly and claimed it as his. It’s a tricky business removing him what with his claws and all! Go check out Tracey’s website and buy Tracey’s book, its fab! 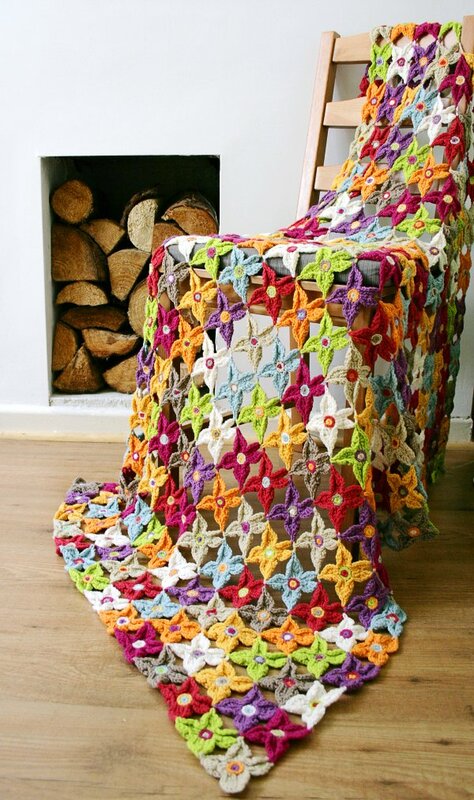 And, I hope you enjoy my Flower Blanket pattern. 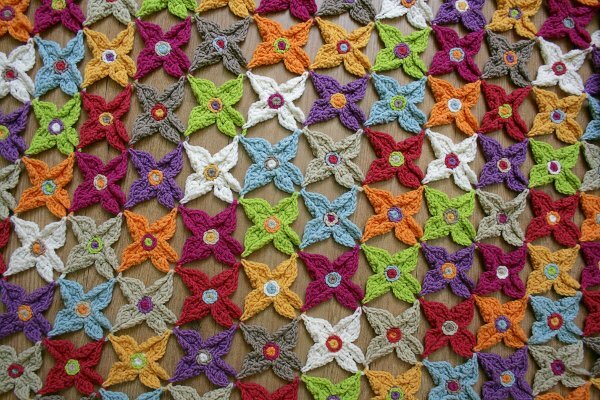 I tried to find the pattern for the flowers used in the flower blanket but it did not come up in raverly ? The pattern is in Tracey’s book. It’s published as ‘Women’s Weekly Guide to Crochet’ in the UK and ‘Crochet. Learn It. Love It’ elsewhere. You can order the book from Amazon.co.uk or Amazon.com. Many thanks and Happy Hooking!